The Mathematics Home Site has had a major update during the Summer with a whole new look and feel. 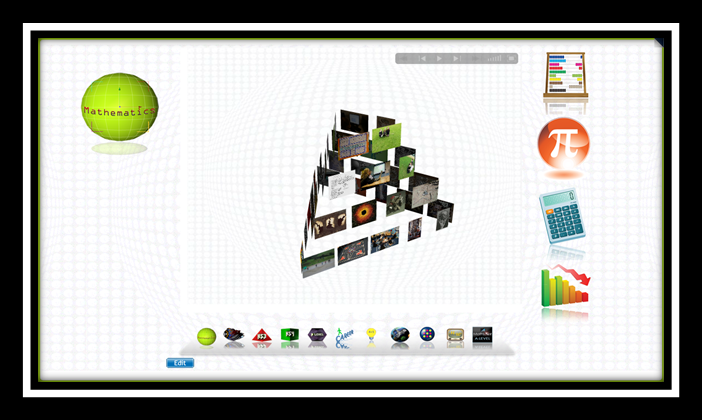 The Home Page now boasts a three dimensional gallery of images and new menu bar known as a ‘Frog Dock’ along the bottom. Many thanks go to Jamie Elms, who produced the outstanding three dimensional icons during his week-long work experience with Mr Parsons, ELE Manager. The Subject Home Site page has been completely redone with new reflective icons and standardised icon size, to give them a more modern feel, with a new logo to complement the redesigned site. The website Virtual Gallery has been updated for 2011 with all the latest Student work from Art and Photography. The standard is excellent, as ever, and I am sure you will enjoy looking through the 20 best pieces of work from years 7 to 13. The School’s Facebook page is gaining in popularity with 302 ‘likes’ and nearly 40000 post views since its launch at the end of February. Vivo Miles have arrived! 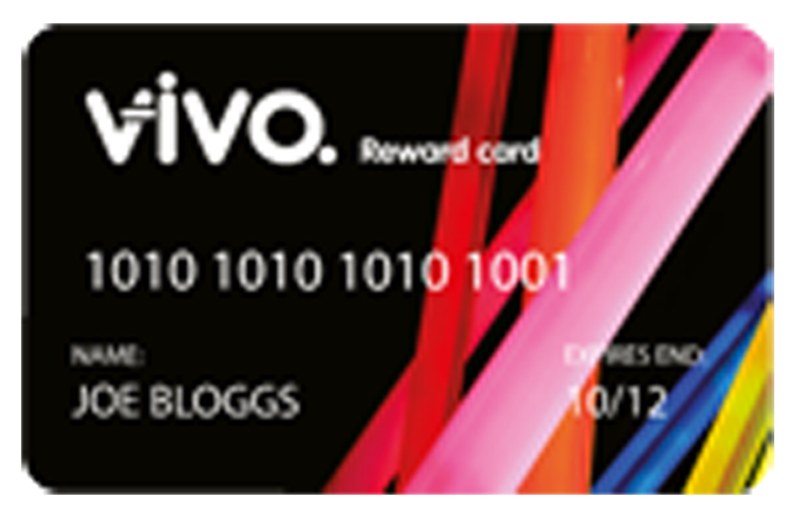 One of the most exciting aspects of the new school year is the introduction of our new Vivo Rewards system. Students gain automatic Vivos for attendance and punctuality plus additional ones from their teachers, in a variety of categories, in line with the school values. Students can then purchase real rewards from the online shop giving them the opportunity to save up for something of their choice. As part of the imminent celebrations for the European day of Languages, all Year 9 classes learnt a different language (or possibly more than one) during their Languages lessons for a fortnight beginning 26 September. For Year 7 tutor groups there was an inter-tutor group international music quiz during this period. As ever, staff and students of The Corsham School approached the challenge with relish. On Monday PE students visited the “piscine” instead of “swimming pool,” Drama students incorporated foreign dialogue into their pieces, Science students investigated the Latin or Greek origins of element names, English students listened to German, while Language classes learnt new languages and about Language in general. Many thanks to all those involved. Open Evening was busy in the Geography area as we handed out samples of Fair Trade & non Fair Trade chocolate for visitors to taste. In KS3 some students have been trying out the Worldwise website produced by the Geographical Association, www.worldwise.geography.org.uk The site has activities such as online Geography quizzes. Anyone can try this website, just speak to a member of the Geography team. Year 8 are learning about football as an industry this term. Due to the popularity of rugby at this school, and the current Rugby World Cup, we have taken a slight detour from football to look at the countries which are taking part in the World Cup in New Zealand. Details of the countries taking part at www.rugbyworldcup.com In the next few weeks Year 10 will be doing field work in Bristol, and Year 12 in Swanage, Dorset. 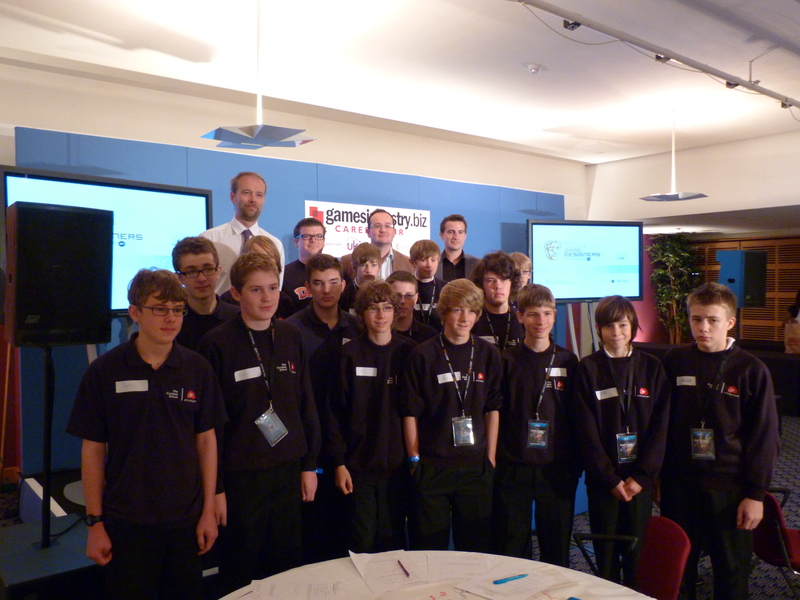 As part of the Young Games Designers competition, organised by BAFTA and EA Games, 15 students from Years 9 to 11 where lucky enough to be able to attend a special workshop at Earls Court London on 23 September. During the workshop, industry insiders discussed key aspects of computer game design, including Genres, Characterisation, Environments, Level design and Marketing. In teams of three, students had to create a concept for a new game. Each team was then able to pitch their idea to a panel which included Nintendo’s Head of Marketing and a lead designer from UbiSoft. Each of the five teams performed admirably, presenting their ideas to an audience of adults and students from other schools. At the end of their presentation, they received some valuable feedback and insights into a growing and complex process. Each of our Year 10 GCSE Drama students has been given a monologue from a well loved children’s play to perform at our annual Museum of Monologues event. Come and join us to see our ‘statues’ come to life sharing their adventures from popular plays including- The Secret Garden, The Railway Children, The Witches, The Lion the Witch & The Wardrobe and A Midsummer Night’s Dream. Thursday 13 October, 7pm in S Block Hall £2 entry (on the door). Congratulations must also go to those who have recently passed an instrumental exam outside of school. Please let us know who you are! Art Surgery starts up again in The Making Room, every Wednesday from 3-5pm. Everyone in our school and surrounding community is welcome, including primary school age and adults. Art Surgery is run by Mazy Bartlett and is a drop in session in which we like you to bring your own projects/ideas/homework and Mazy will help you to make them a reality. If you are really stuck for inspiration but still would like to come, drop in anyway and see if our piles of junk get you started! We have already conducted a Family Learning session at The Pound. These go under the title Crafty Saturdays and can be found in the Pound Art Centre’s programme (look online). They tend to happen in the middle of the month and run from 11.30am until 2.30pm. Mazy Bartlett runs various different creative projects which often end up on display at the Centre. These are free sessions with all materials provided and are designed to give families basic groundings in various art techniques. The most recent session was all about wire and wire sculpture. We took our inspiration from Jean Cocteau’s beautiful line drawings and the figures will hopefully be installed in the Pound’s Café. The Making Room has been approached by the Town Council with two different Christmas projects. One is to create lighting up reindeers for the flat roofs throughout Corsham town, project that will be done out of school hours with Corsham primary school children. Also there are plans to make the central display over the Town Hall entrance for which we will handpick some of our most skilled and creative students. It is quite an honour to be invited to do this, so let’s hope we do a good job! Within the school, there has been a transformation in the 6th Form Common Room, as well as re-decoration. We have put up stunning examples of students’ photography, and the most fabulous series of photos taken by the brilliant Mr Rogers of the Art & Photography department. It depicts our Year 13 leaping through the air, and it is definitely worth a look !